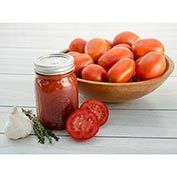 Easy Sauce Hybrid Tomato | Gurney's Seed & Nursery Co.
A prolific Roma-type, this variety is extremely dense and meaty with very few seeds and a unique no-gel texture, making it the ideal tomato for dicing into salsas or slicing for salads. The sweet, tangy flesh cooks down into the richest, most succulent sauce you've ever tasted. Excellent garden performance. Determinate. Disease resistance: VF. 65 DAYS. 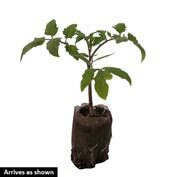 Depth: Bury transplant up to it's first true leaves in the garden or a container. 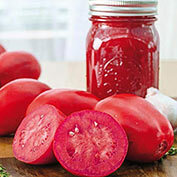 Fruit: Meaty, all-flesh Roma type red fruits, 4- 5 oz. Comments: This prolific little Roma type tomato is a God-send to canners, slicers, and sauce & salsa makers. 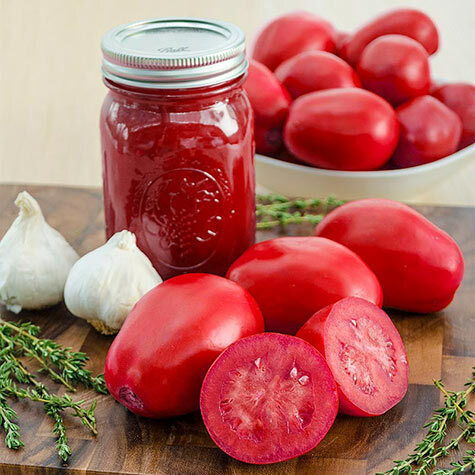 The interior of this tomato is so meaty & dense, with very few seeds or juicy gel, that it makes this baby a breeze for dicing up for salsa or slicing for salads & recipes. The meaty flesh also cooks down beautifully to a rich succulent sauce. 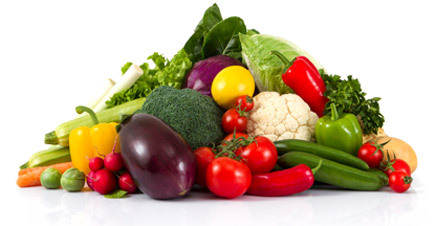 Flavorful tomatoes are sweet and tangy- as well as disease resistant for excellent performance in the home garden.